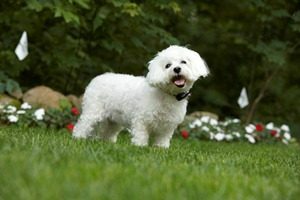 DogFence never comprise on the quality of our product or quality of our service. Tiny but highly innovative system is ideal for customers with a very small area to contain for example a driveway or small boundary, or to exclude your pet from areas such as, pools and ponds, flower borders, or veg patches etc. Although small the GroundsKeeper still contains all the features that our larger hidden fence systems are known for. 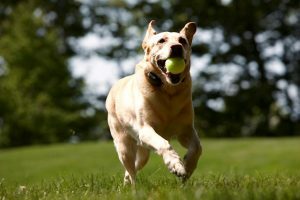 Adjustable training levels on each pet’s receiver for all personalities breeds. 3 x Omni directional antenna for pin point accuracy – eliminates confusion for your pet. 100% waterproof – fresh or salt water. Auto Shutdown – collar shuts down after 15 seconds to prevent your pet being over corrected. Instant re-start when the pet leaves the zone. Anti-linger to prevent over activation of the battery if the pet stays in the “beep” zone. High impact durable case – dog chews to receiver covered. Digital FM Safelink ® guarantees no false activation – 15 times quicker on start-up & shutdown than any other brand. Range Control – Easily allows you to adjust the boundary. Broken Boundary Warning – Audible & Visual alert warnings if the boundary signal is interrupted. 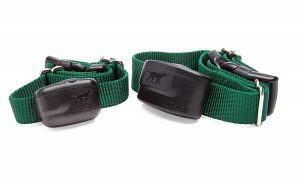 Digital FM Signal Safelink ™ – protects your pet from stray Activation of the receiver collar. Can be run next to or on metal fencing – electric cables and underground pipes without loosing signal – no other fence worldwide can offer this guarantee. Warranty* 2 year warranty on transmitter & receivers (Professionally Installed Systems only). 1 x Transmitter, 1 x Computer collar, 1 x 100m Boundary cable, 20 training flags, 2 x waterproof connectors 1 x Owners Handbook. *Pro Grade Cable Details (used for professionally installed systems only): Designed exclusively for the Pet Fence Industry – (HMWPE) – direct burial wire rate 75 ºC, 300V for wet or dry locations. HMWPE insulation is formulated to provide excellent oxidative stability, toughness and abrasion resistance. High Molecular Weight Polyethylene. 16 stranded conductor with 0.45” insulation. The R1200 is perfect for medium to large dogs and boasts a two year battery life. The smaller R1200m receiver is just right for even the tiniest dogs (and cats) thanks to its sleek design and unique pet friendly features.